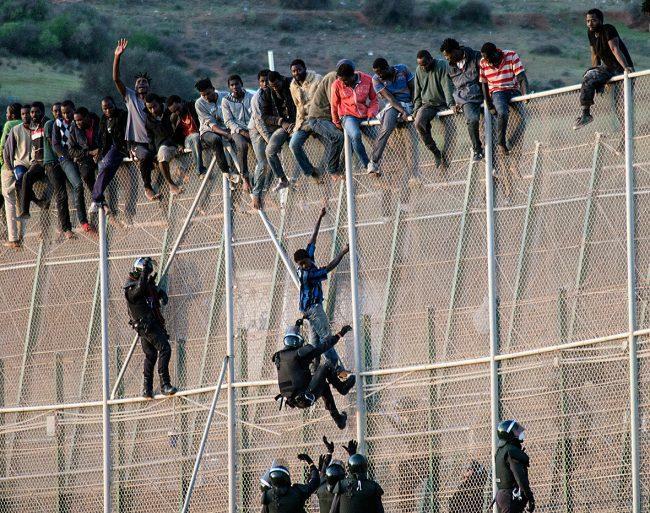 Reuters reports more migrant crisis chaos hitting Europe as over the weekend hundreds attempted to storm the border fence separating the small Spanish enclave of Melilla from Morocco. The mass wave of migrants made a daring attempt to climb the fence together — likely so that each would have a greater chance of avoiding being apprehended in the ensuing confusion and chaos — despite much of the particularly high border structure being topped with razor wire in many places. International reports put the figure that initially stormed the fence at about 300, but it appeared the coordinated attempt paid off for most, as authorities say some 200 actually made it onto Spanish soil; however, one man died during the incident. 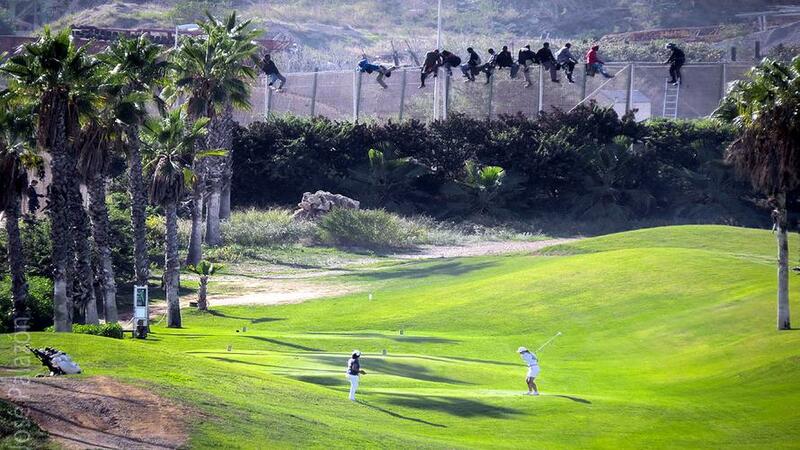 African migrants often storm the Spanish border in Melilla in large groups, injuring themselves and police officers. One African migrant died and three others were injured when around 300 stormed the border fence on Sunday, the local authorities said. The man is reported to have suffered a cardio-respiratory event and expired after being treated by emergence services, according to local authorities. Thus far this year over 6,000 migrants have made it to Melilla and Spain’s nearby territory Ceuta according to U.N. refugee agency UNHCR's figures. Migrants have taken extreme risks in climbing the dangerous fence, sometimes using specially devised wooden-handled hooks and shoes fitted with spikes to help the climb. Oftentimes bloody t-shirts and garments can be found left behind hanging on the fence after people attempt to scale it (or rather there are "fences" plural, as the border is made up of three parallel fences). The Spanish border enclaves of Melilla and Ceuta located in North Africa have become a favored crossing point for African migrants of late for the fact that they are the only points where Europe shares a land border with Africa. 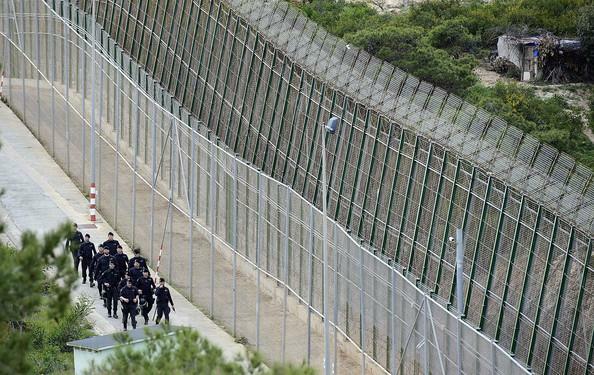 Melilla's fence is about 10km around the landward side of the city. Throughout last summer there were a number of daring raids on the fence by groups of migrants throwing stones, Molotov cocktails, and feces, as well as the use of sprays as flamethrowers while trying to thwart and distract law enforcement officers. One of the larger attempts was made in July by a group of 600, and was particularly violent — a trend that's expected to continue as Spain in the past year has been dubbed the "new migrant gateway to Europe". Meanwhile Spain's Mediterranean migrant arrivals have skyrocketed, surpassing Italy's last summer, when Spain's sea arrivals alone shot past 20,000 by July in 2018. The country's migrant woes are set to continue, especially as Spain's recently installed in office Socialist prime minister, Pedro Sánchez, has previously signaled an open-door "welcoming" policy of being ready to accept the EU's call to accept migrants. 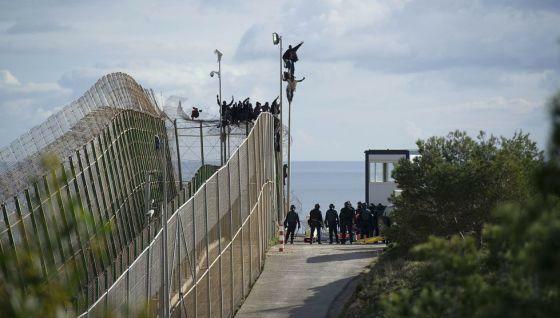 Meanwhile the dangerous high-wire acts in the Spanish North African enclaves of Melilla and Ceuta will continue and will likely get more brazen and potentially violent.